Spend any time shopping for a new backpack and you quickly discover the vast majority of them are all the same. Materials and colors vary, but overall there isn’t a great deal of ingenuity and innovation to complicate your decision. 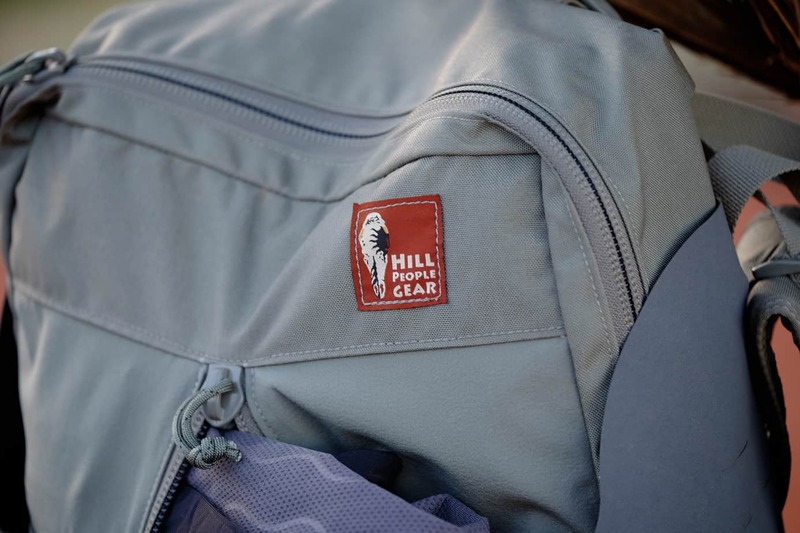 There are a handful of exceptions like the packs offered by Evan and Scot Hill of Hill People Gear. 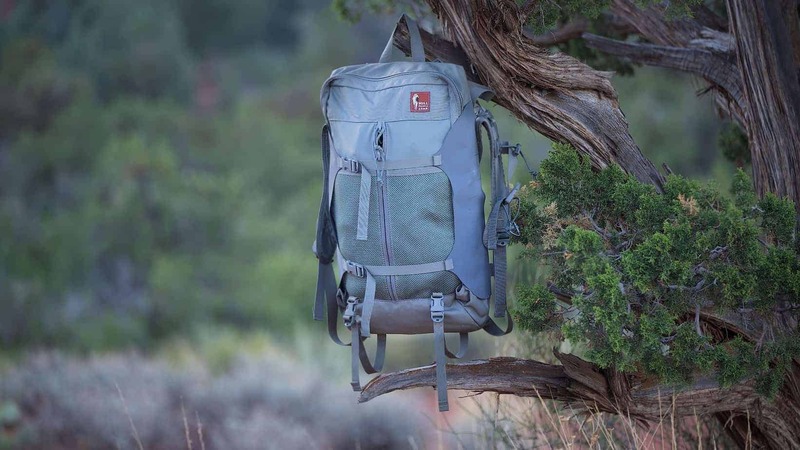 Based out of Western Colorado, the Hill’s packs are the manifestation of their time in the wilderness coupled to a desire to make the highest quality products possible––right here in the United States. Highly technical without being overly complicated, their packs have thoughtful organizational features, comfortable ergonomics, and are masterfully constructed. 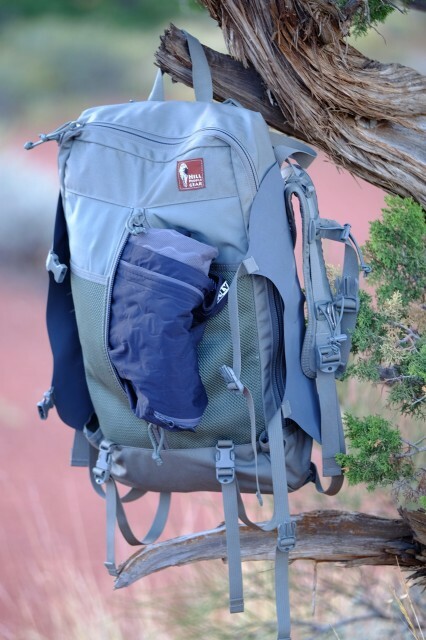 I first stumbled across their Connor Pocket/Pack at the recent Overland Expo event in Flagstaff and immediately saw its potential. Designed to serve as a dedicated backpack or an oversized external pocket for the brand’s larger packs, it has a clean aesthetic and useful features, many I have never seen before. When paired to the optional Aston framesheet and shoulder harness, the Connor Pocket is transformed into the Connor Pack. 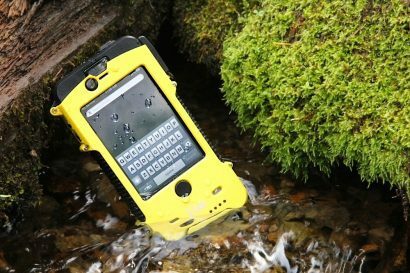 The framesheet is made of durable HDPE and fitted with a single 7000-series aluminum stay which can be shaped to match the contour of the user’s back. At 20×11-inches, the framesheet is properly sized to afford an appropriate amount of structure and support for the entire pack. The shoulder harness, the same as used on all Hill People Gear packs, is made of 500-denier nylon and lightly padded for optimal comfort. 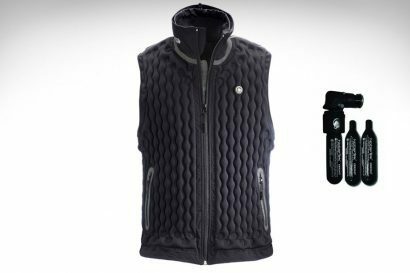 Whereas most shoulder systems are little more than a pair of nylon straps, the their harness creates a three-dimensional yoke that envelops the wearer’s neck and shoulders with even and uniform pressure. The harness also attaches to the Connor lower than on most packs; at the lower scapula. 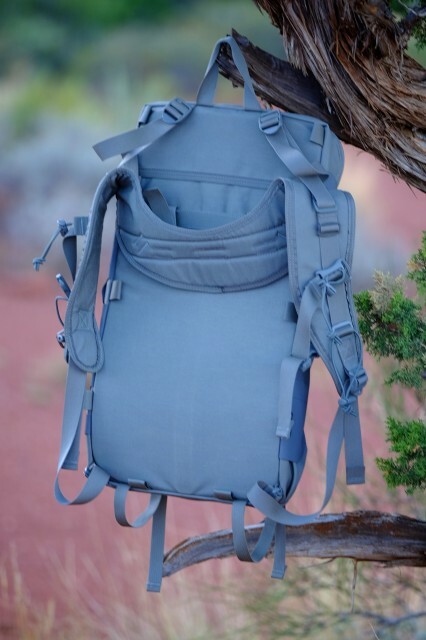 This not only accommodates a wider range of torso lengths, but it keeps the load lifters positioned high on the shoulders and allows the harness to better wrap around the user. 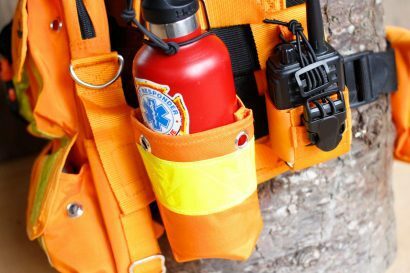 I find the unique layout of the shoulder harness also bolsters the system’s inherent flexibility. It moves with me better than most packs. 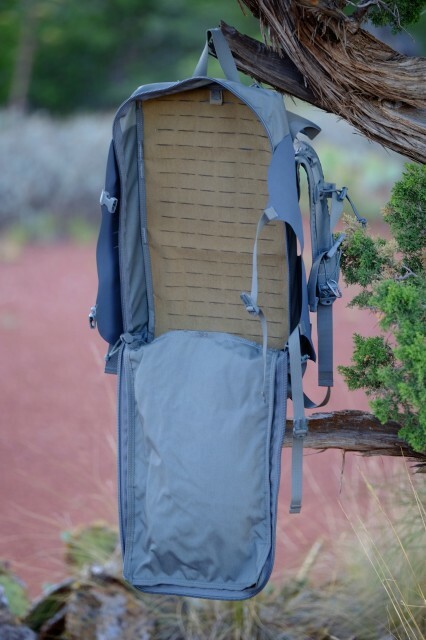 Despite the lack of a waist belt, the pronounced curve of the framesheet permits the pack to rest deep in the lumbar making for a balanced carry that doesn’t seem to overburden the shoulders. As a cyclist and runner, I don’t have the burliest build, and while I thought the straps might be too bulky, they have proven to be extremely comfortable. If I have one minor grouse, it would be with the lack of any padding or ventilation features on the back panel. On long slogs with lots of weight in the pack, I can get some minor irritation on my lumbar, particularly when wearing a thin t-shirt. With no way for air to pass through the back panel, it can also get a touch hot. Perhaps I’m just a delicate little cupcake and need to toughen up. At any rate, the simple back panel design does keep the pack close to the user’s center of gravity which makes for a very balanced carry. I also understand the lack of any venting or padding elements is necessary to keep the unit light for use as the Connor Pocket on their larger packs. With regard to pack design and organizational strategies, I’ve come to learn there are typically two schools of thought. 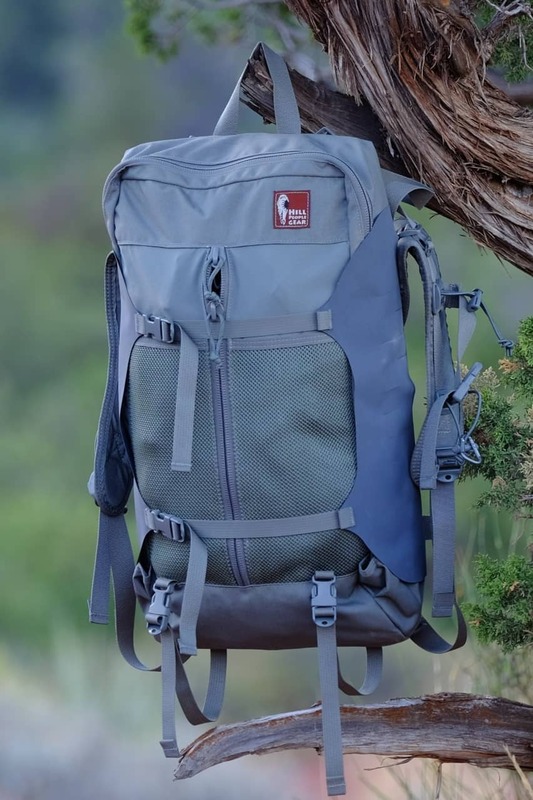 There are those who prefer the minimalist approach, while others want a pack with as many bells, whistles, pockets, zippers, and doodads as possible. The Connor fits somewhere in between, but with loads of potential for customization. The main panel-loading pack compartment is accessed via one heavy duty zipper with double sliders. 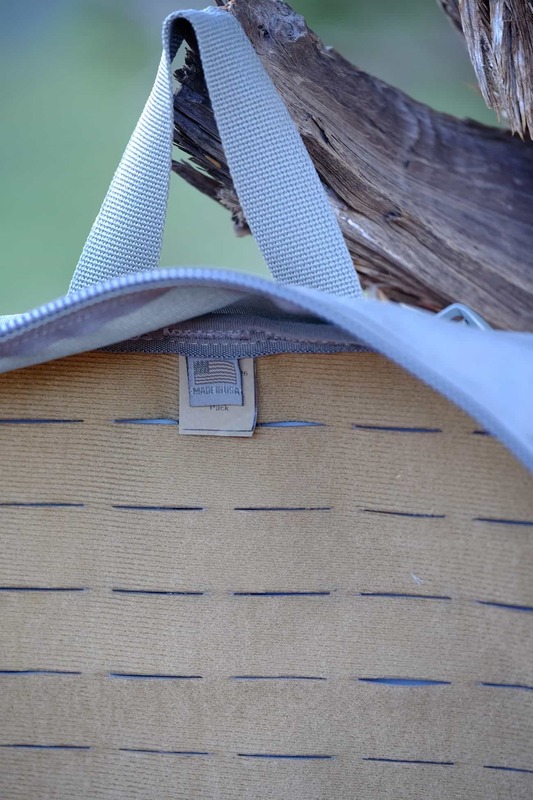 Inside, the back of the pack contains a full-length velcro panel cut with Pals/Molle access points for optimal organization. The exterior of the pack features a stretch fabric outer pocket with a central zipper and dual mesh pockets. Perhaps the most unique element of the Connor is the use of twin Hypalon flaps that fold in from the two sides. They serve has excellent compression panels and are ideal for securing oversized items like rifles, camera tripods, even hulking accessories like snowshoes. Each lateral wing is also cut with Pals/Molle loops for additional attachments. At a shade over 3 pounds the Connor clocks in well under many other packs within this category. Of the packs that trend towards the tactical, or hook-and-bullet audience, most of them are not only egregiously complicated, they weigh a ton. The Connor is elegantly simple and most importantly––built like an anvil. We often hear people lament that America is no longer a nation of makers, but that genuinely isn’t true. The Connor is proof that Americans not only still fabricate products, but some of them are incredibly nice––the people and products, that is. Inspecting every seam, stitch, buckle, and strap, I can’t find anything on the Connor that doesn’t look positively flawless. If you’re in need of a versatile, comfortable carry-all, this is one pack I would wholly recommend for the American Overlander.